Description: Sized 25" x 36". 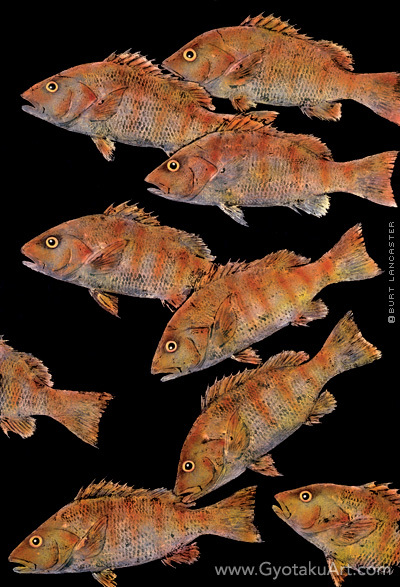 Multiple mangrove snapper are on a black background. Giclee is available. Species: Also called a Gray Snapper. Offshore catches of 10 lbs. are common. The Florida record is 16lbs. 8 oz. Mangrove Snappers are strong fighters and found nearshore or offshore on coral or rocky reefs. Table fare is excellent.